The amount of energy supplied by renewable energy sources in Texas has seen a marked increased moving up to a 10% share in 2013 up from 1% in 2001. This is according to a report released by U.S Energy Information Administration. This drastic increase is as a result of the strain on Texas’ electric grids which experiences great demand especially during summer. The report added that the growth of renewable energy has surpassed that of other sources of energy including coal and gas, that feed the state’s electricity grid. Data released by the EIA also reflected that renewable sources of energy started to contribute more to the grid sometime in 2007. The intense strain on the Texas electricity grid has fueled the construction of wind farms across the state. 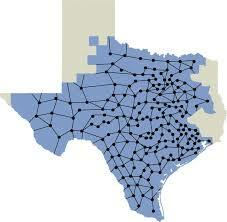 In 2012, more than 900,000 homes in Texas were powered by wind energy due to the addition of these farms.